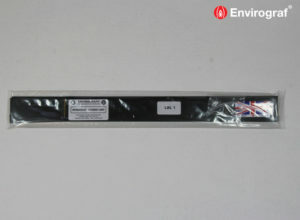 Electromagnetic timed door hold which operates independently of the existing fire alarm system. 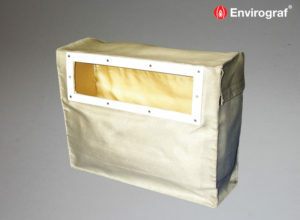 Holds doors open for up to 57 seconds, preventing loss of energy and heat. 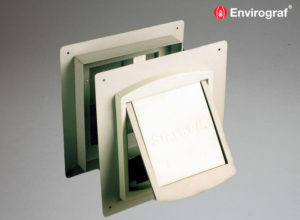 Both MH24 and MH240 can be wired to any type of fire alarm system with the correct voltage. a fire alarm system, for holding doors open for up to 57 seconds. 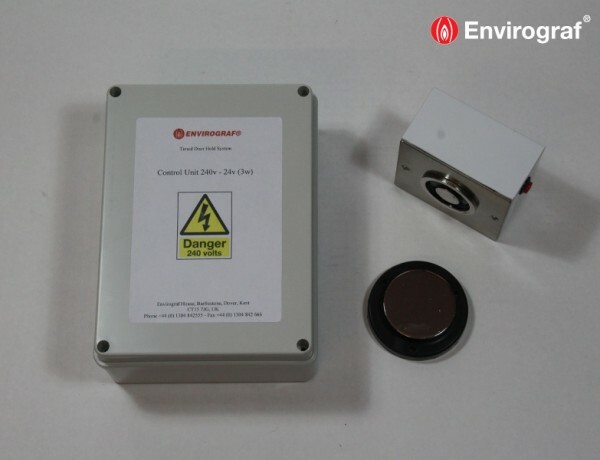 volt control unit to control up to 2 magnets. mount the magnet box onto; finished in white or brown. Where magnets are only required to wire into an existing or new fire alarm system to hold the door permanently open. 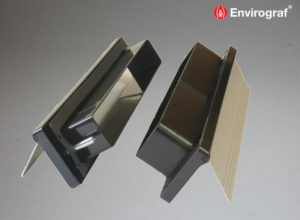 Envirograf® Magnet and Armature Plates can be supplied separately. We can supply a Control Unit for this. 240V in 24V out with terminals to wire to the magnets. Terminals to wire to 24V MH24 Magnet and Armature, and a normally open or closed circuit to wire to existing Fire Alarm System.